Diana here—reporting with some exciting news about PictraMap! 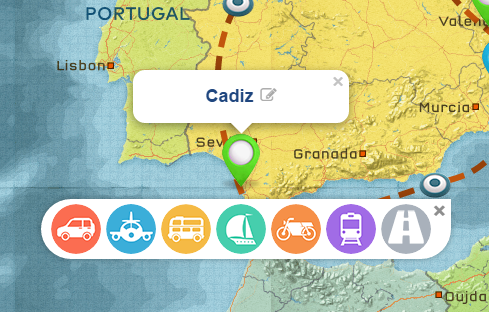 These updates will improve your experience when creating animated travel maps so I hurry to share them with you. Who asked for a train? Please, send us feedback about the new modes of transportation—we made it all for you and we want you to be happy! The introduction of new vehicles and this consistent way of choosing pins, colors and modes of transportation required a change in the logic, too. So far, when you chose a vehicle to add to your maps, you were arriving at a given location in that vehicle. Now the logic is that you leave a location in a vehicle. Don’t worry—your old animated maps are safe—they will be displayed correctly even though they were built before this change in logic. 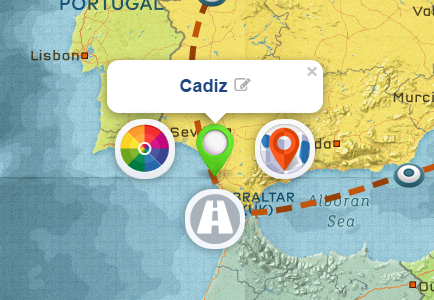 However, if you decide to create a new animated travel map or you edit an old one, you will have to account for the change in logic and set your vehicles accordingly. Remember: going forward, you will leave a location in a chosen vehicle. Did anyone search for cities in China with no success? We looked into it and we are happy to report that a new and better search function was implemented. It now finds more cities in more countries in different languages. Thank you for your patience and support, all! Full support of desktop and mobile browsers for the animation. Further optimizations of the animation performance (faster frame rate, no lagging and chopping of the animation). The comment section is open—please, use it to share your feedback or requests with us! Is it possible somehow to change this ancient ship with something more modest? Hi, Mikhail – currently, this is the only ship we have. What are you looking for – e.g. a cruise ship or something else? Hi – what about bicycles ?? 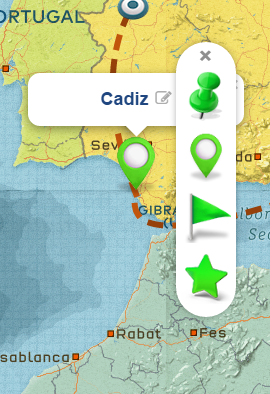 – I’d like to make bike maps ! Also – can I do it without the crazy animating text – it’s really fun, but it’s not what I’m looking for ! Hi, Jol! Thanks for sending your feedback. You’re the first to ask for a bike – I am adding it to the list of requests and as soon as we have enough demand for it, we’ll add it to the development list. Same goes for the way location names are being animated. We have not had anyone else request the option to turn-off the animation. If/when we have enough demand for such a feature, we’ll plan development. Wow, you are the coolest people in the world.!! Thank you sooooooooooooo much for the site. I pray that you become millionaires when someone buys this – it is priceless!! – In the future versions, would it be possible to have export as video file H264 for example? – Minor thing but to let you know: when I put more text on a placemark, sometimes it gets cut. Were working on enabling users to convert animations into videos, yes – currently gathering feedback about demand and user preferences. Adding your hiking icon request to the list of feature requests – as soon as we have enough demand for it, we’ll plan development. And finally, about your text sometimes getting cut off – maybe you’ve stumbled upon a bug. I’ll email you shortly to learn more. is there any open request list? Post seems to be bit older and I am really interested in the tool. Would love to see the hiking icon and the mp4 export..
Hi Michi, unfortunately we still don’t have enough demand for a hiking/walking icon so it remains on the to-do list, don’t know if or when we’ll have enough demand to plan development. 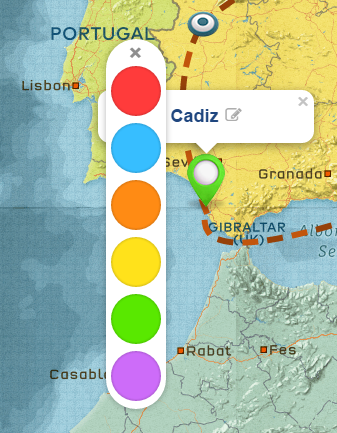 However, we are in the final stages of testing and releasing a built-in feature to convert the animated maps into videos. Stay tuned – we’ll send out a member update when it’s ready for everyone to see and try. We don’t have an exact date, but I can tell you it’s a matter of weeks. Hiking / trekking should be great! Please!